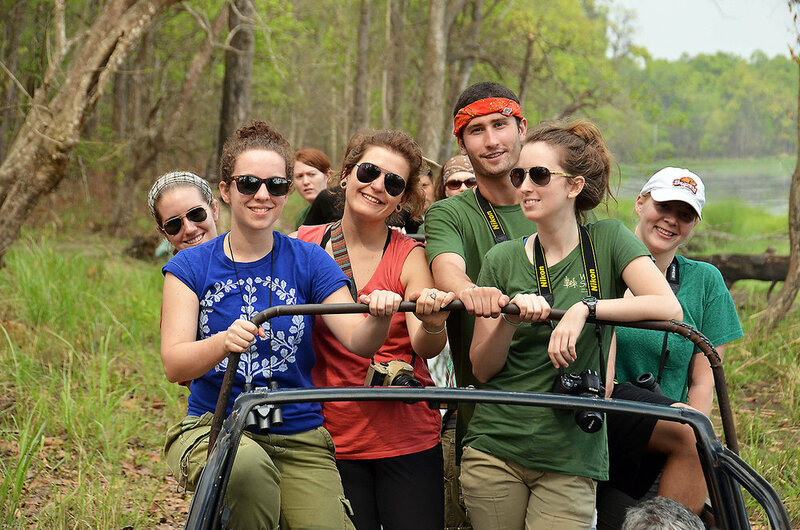 After an orientation in Kathmandu, Nepal’s capital, we will begin our field studies in the near-tropical, forested floodplains of Chitwan National Park. These lush forests support populations of rare mammals like rhinoceros, sloth bears, Bengal tigers, langur monkeys, hundreds of species of birds, and two crocodile species. Here it is possible to see large wild mammals that have disappeared across much of their range, and study the challenges of wildlife management in one of the lesser developed regions of Asia. 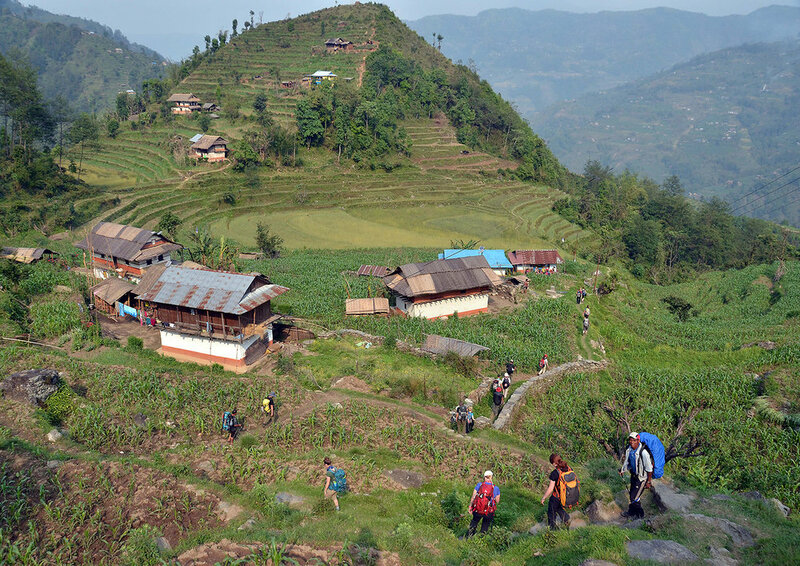 We then travel into the Himalayan foothills and proceed on foot to the valleys of the High Himalaya. Our field site is the mountain region of far eastern Nepal, which includes Kangchenjunga Conservation Area and Makalu Barun National Park. The cultural landscape remains quite traditional here and the habitat diversity is exceptional, with deep valleys separated by some of the highest peaks in the world. Kangchenjunga exceeds 28,000 feet elevation and overlooks a wild landscape of active glaciers and steep river valleys. High elevations are alpine, but the river valleys are lush and subtropical. 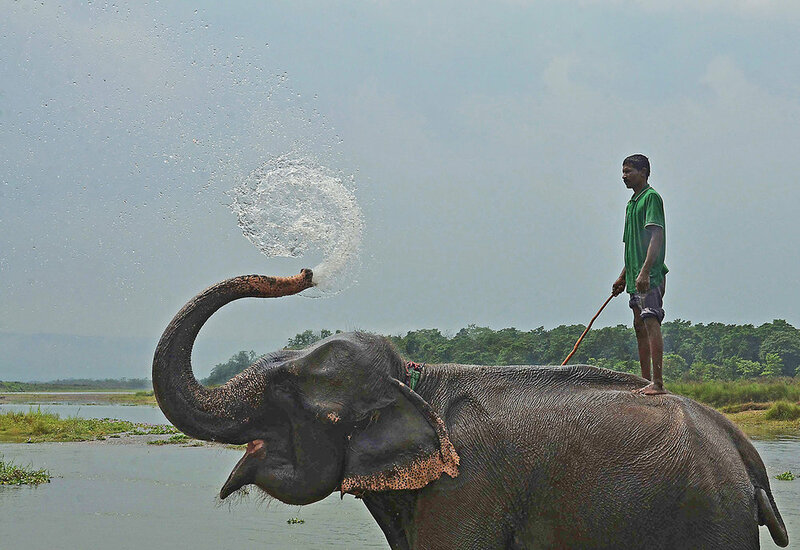 Our program will visit a wide range of climatic zones on the flanks of the eastern Himalaya. 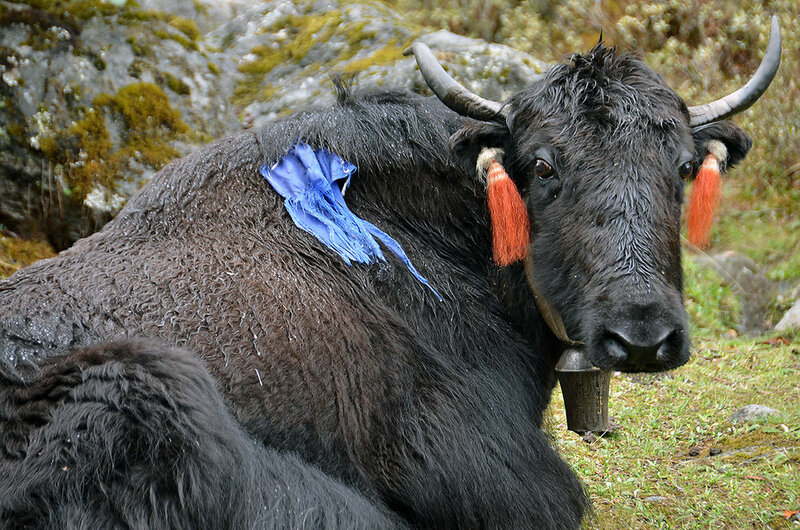 In eastern Nepal, we may have the chance to interact with local conservation groups, affording team members an opportunity to directly observe the field methods of those people best positioned to influence Himalayan conservation strategies. We will also conduct our own field studies and observations to gain skills and knowledge about the habitat, key behaviors and conservation needs of the wildlife and wildlands of this area. 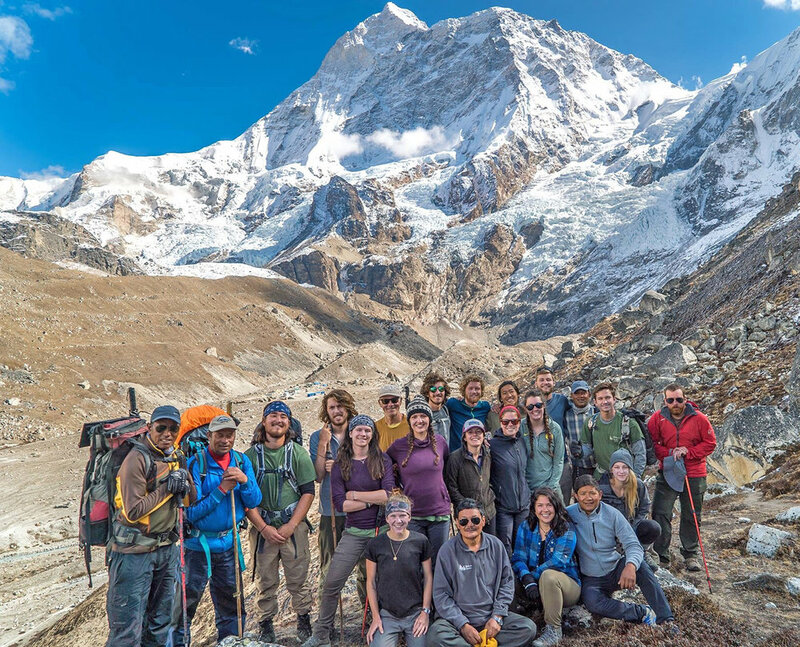 By the end of the project, each of us will have acquired field experience in rich, important wildlife habitat; developed an understanding of the ecology, behavior, and habitat needs of key wildlife species; learned a great deal about the geography of a spectacular mountain region; and gained practical experience with conservation management in Nepal’s dynamic, rapidly changing society. Chris is a conservation scientist who has conducted field studies and led natural history expeditions in Asia for over twenty years. His main academic focus is the ecology and geodynamics of mountain environments. He is also interested in the marine world, environmental control of species richness and strategies for habitat conservation. He lives in Chiang Mai, Thailand, and teaches part of the year at Payap University. Chris has been teaching with Wildlands Studies since 1990 and has taught in China, India and Southeast Asia. He currently leads our Thailand, Nepal and Indian Himalaya programs.